Paradise Found is an ever growing, ever changing folk/electronica music collective of like-minded, spiritually open people. It is driven by an underlying desire to guide and help its listeners through the day-to-day toils of life. 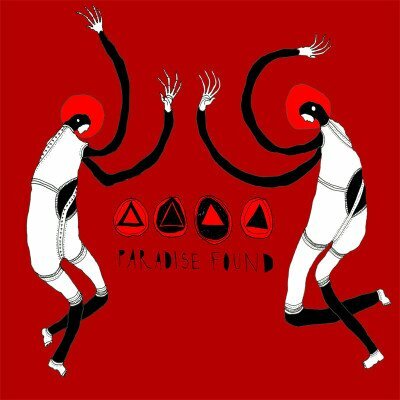 Primarily a guitar and vocal group that focus on simple layered melodies with attention to space and harmony, Paradise Found was created by Theodore and Sylvan Heally. Two gardeners, artists, music lovers and storytellers who spend most of their time at home with friends, partying and living a river garden lifestyle and making music, they came together in the late summer of 2006, with the concept of Paradise Found. This talented duo recorded their self-titled debut album in the front room of their idyllic home, chanced upon by their manager Jimi B Brown. The album explores the theme of letting go of pain and embracing joy into the soul, with lyrical content that takes its influence from different religious ideologies, self help books and folklore. Songs such as Did You Laugh Today and The Joyare reminders that its better to be in a state of happiness than anger. Tick The Box suggests that we sometimes carry the weight of the world on our shoulders when its better to just let go and concentrate on enjoying what’s in front of us. Their songs follow a similar format, made using simple guitar loops and layered vocals, with building rhythms and drifting ambiances dashed with electronica, imaginatively presented using contemporary arrangements. The result is music that has a deeply seductive and meditative effect on the listener, bringing you closer to yourself. Don’t be surprised if you find yourself falling into a daydream whilst listening to Paradise Found, for you are almost certain to transcend to a state of meditative peace when listening to their music.